Here are the deals and coupon match ups for Stop and Shop Supermarkets from 7/30 to 8/5. Please be aware that prices vary by store, and coupon values vary by region, so the list below may not be 100% accurate depending on your location. All coupon values are doubled up to $.99 based on my store's policies! All deals with a $1 off coupon are shown with a (+ DD= ) which are the dollar doublers giving you the best possible price! You will find them in your circular this week and you only get 4 so choose your deals wisely!! $35 in P&G coupons inside Organze in Style Booklet! Sign Up to have the coupons delivered to you right here! Getting back to good! My Trip to Big Y for $12.85! New Blockbuster free movie code plus an updated list! You can now try using: GT18A, plus these other codes for free blockbuster movie box rentals! Choose the Free Tote Bag then pick a design or upload your own. After approving the artwork/design, you'll be asked to choose what you want on the reverse of the tote. Blank is free. Anything else is extra. After selecting "blank" or choosing a design for the reverse, you'll signup/login as a VistaPrint customer and be prompted to pay for the shipping which is around $4.40 for "Slow" (21 days) or around $6.15 for "Standard" (14 days). Get your own personalized totes with your kids/family name on it. A picture of your family, or even a company logo. 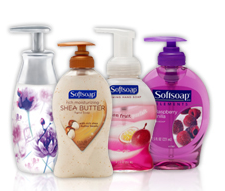 There is a new high value coupon available for $0.50/1 Softsoap hand soap. 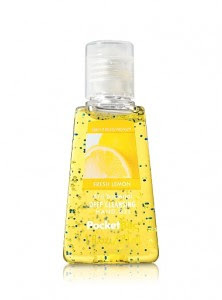 This coupon may mean free hand soap if you have a store that doubles coupon! 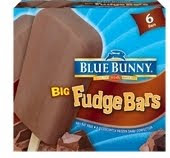 **Note: Blue Bunny is offering 1 rebate per household. You can buy all 3 the same or combine. You can also buy other Blue Bunny Novelty products. These are just the ones that are one sale. Tomorrow you really want to make sure to check all of the inserts in your Sunday newspaper. 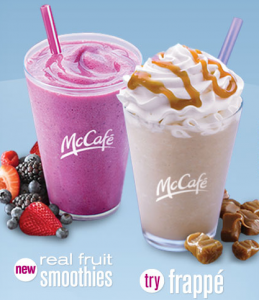 It is being reported that Parade Magazine includes a coupon towards a FREE 12oz McCafe Frappe or Fruit Smoothie. 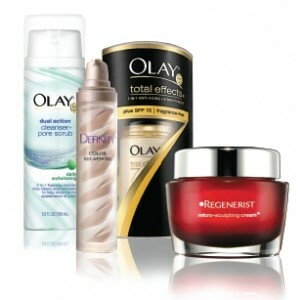 I have tried both and I think they are great value for the price but hey! nothing beats free! 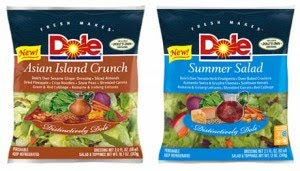 There is a new Dole Salad Instant Win Game available. You can play this game up to three times a day through 9/30/10. 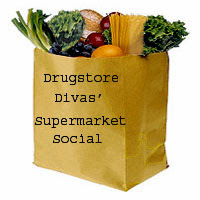 Prizes include Visa Gift cards or coupons for free Dole salad. But you also get to print a coupon for $1 off one Dole salad. This coupon should make some of the kits at least half off or possibly even more when on sale. Hi all. My father in law had a heart attack and underwent a quadruple bypass about a week and a half ago. He is recovering well. We have been and helping out as much as possible with his recovery thus there haven't been many posts. I am back in town for a few days and then we are headed back for awhile, so there may not be much on the blog for a few more weeks. But, rest assured I'll return to bring you the best deals around! Thank you for your loyalty and support. God bless you all.